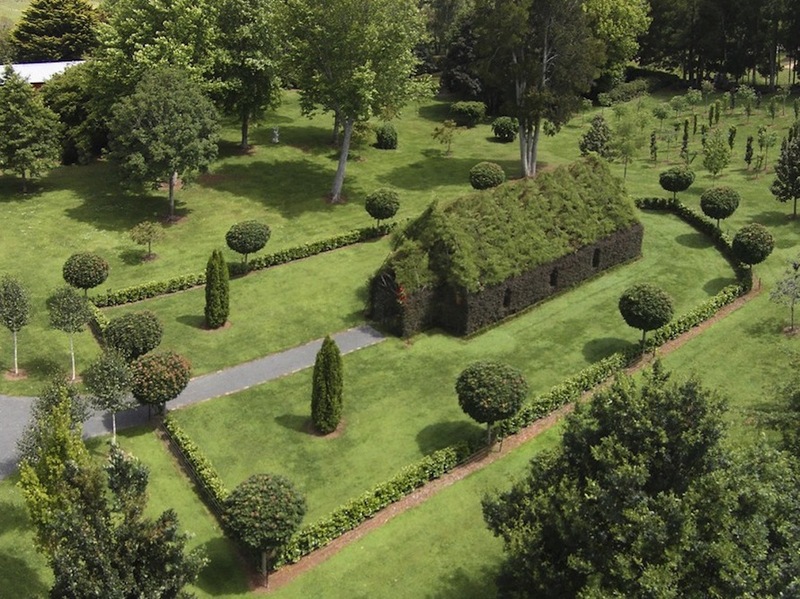 ‘Built’ may not be the right word for this compelling hybrid of architectural and arborsculptural design (or: arbortecture), featuring a complete chapel with landscaped fences and carefully cultivated gardens on all sides, the primary structure at its heart made from five species of tree. 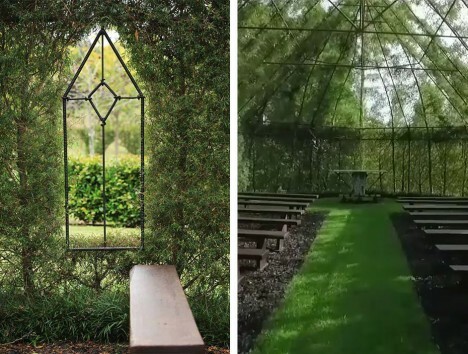 Begun by Barry Cox on his New Zealand property just four years ago, the project originated as a private retreat but as word spread he decided to open it up to guest events as well starting this fall – the structure seats 100 people. Leptospernum (Copper Sheen) grows up to create the walls while Alnus Imperialis (Cut Leaf Alder) completes the roof, forming a complete canopy above. 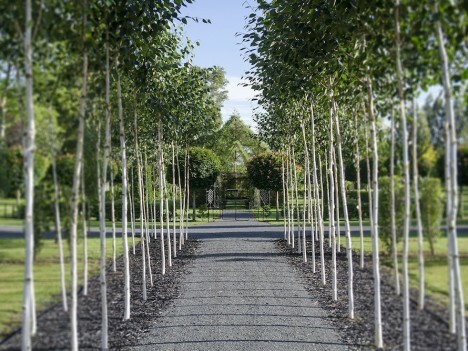 amelia Black Tie, Acer Globosum, and Thuja Pyramidalis were also employed in the construction process. Within the main building, a slim steel frame underlies the living components, serving as latticework around which the supporting trunks and branches were able to grow. 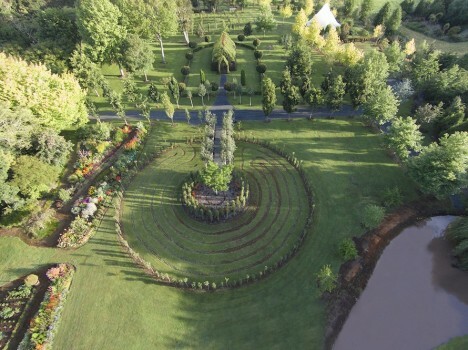 On the grounds around the central structure are a number of other intriguing and interactive elements, including a labyrinth and extensive additional gardens for walking and exploring. 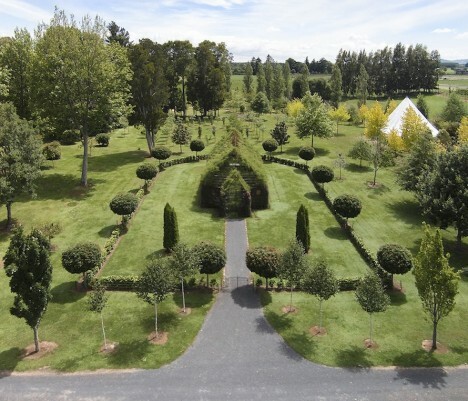 The entire site is carefully sculpted and maintained, featuring traditional as well as more novel landscapes.